Wow! 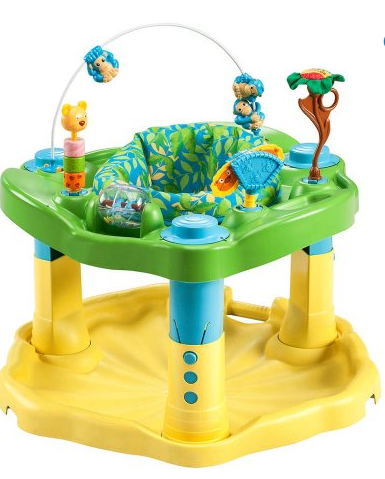 Right now you can get the Evenflo ExerSaucer Delux Active Zoo Friends Learning Center for $33.29 (Retail $80)! The Evenflo Deluxe ExerSaucer Learning Center offers parents a safe alternative to walkers. It features a variety of age-appropriate toys that help your baby achieve important developmental milestones. Rock, spin and bounce actions provide your baby with plenty of exercise to strengthen legs, back and neck muscles. Opt for in-store pickup to avoid the $5.99 shipping charge.